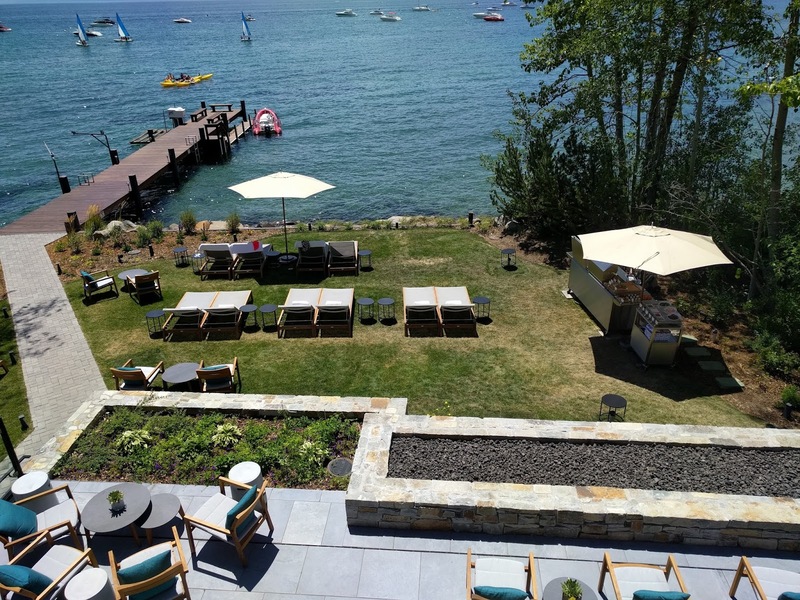 The Ritz Carlton Lake Tahoe Lake Club offers a serene lakefront experience with direct access and panoramic views of Lake Tahoe, water activities, firepit, spa, all-inclusive dining/drinks and is a must-do summer experience not to be missed. 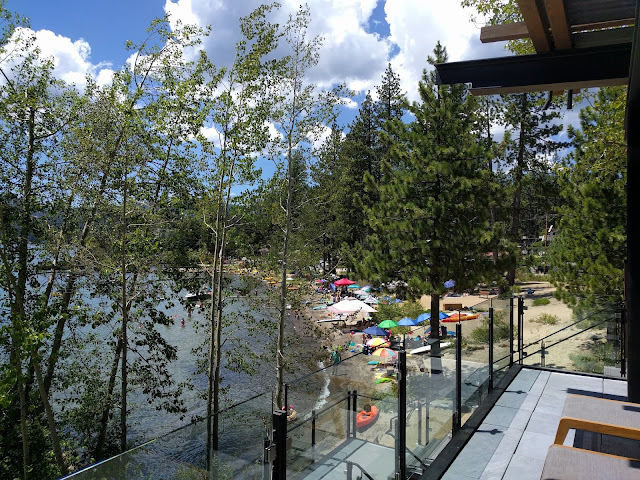 The Ritz-Carlton, Lake Tahoe hotel is located mid-mountain at the Northstar California Resort and the new Lake Club is on the shore of Lake Tahoe. 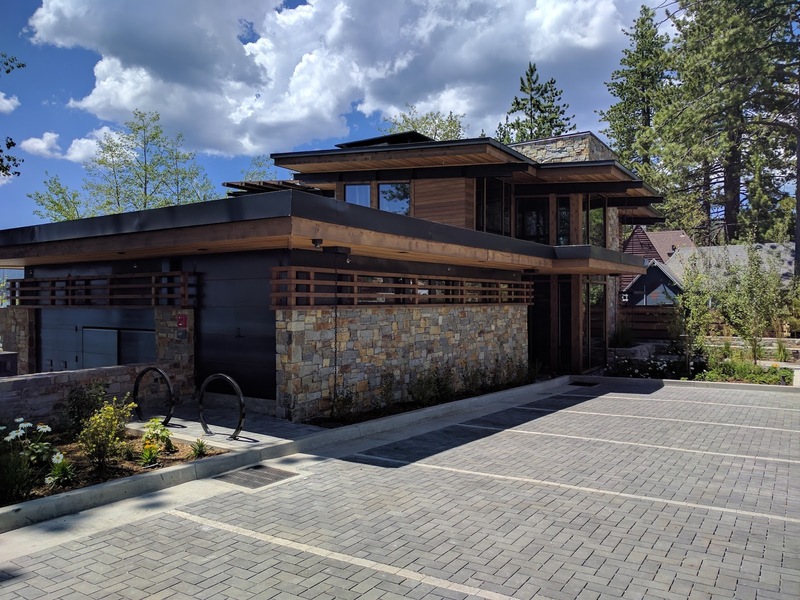 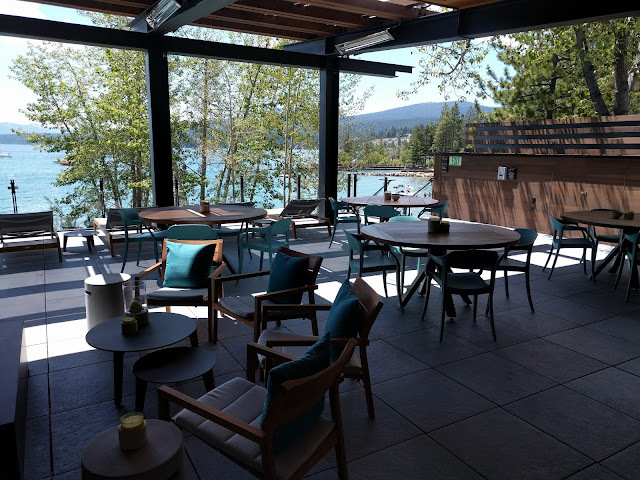 The newly opened Lake Club at the the Ritz-Carlton Lake Tahoe, is located lakeside in Tahoe Vista, CA, and is an approximately 15-20 minute shuttle ride from the resort showcasing the finest in indoor/outdoor living and direct lake access with incredible views. 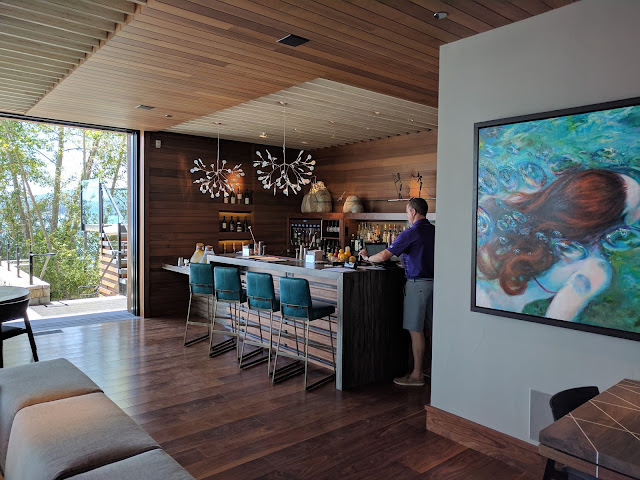 The Lake Club introduces an exceptional level of luxury service and amenities to the North Shore of Lake Tahoe and features an elegant, multi-level dining and bar facility with panoramic views of the lake. 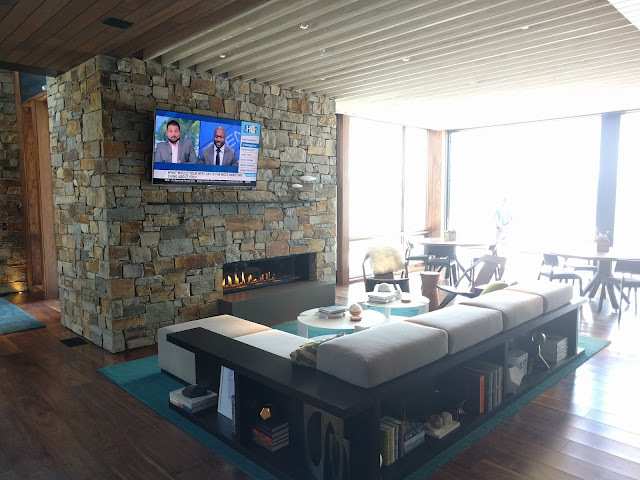 The interior design of Lake Club offers panoramic lake views with a clean, mountain modern aesthetic, with the exterior of the building using materials such as ledgestone veneer and western red cedar siding with crisper, more modern materials such as steel and glass. The $10 million project was completed at the end of June and is now open for guests. 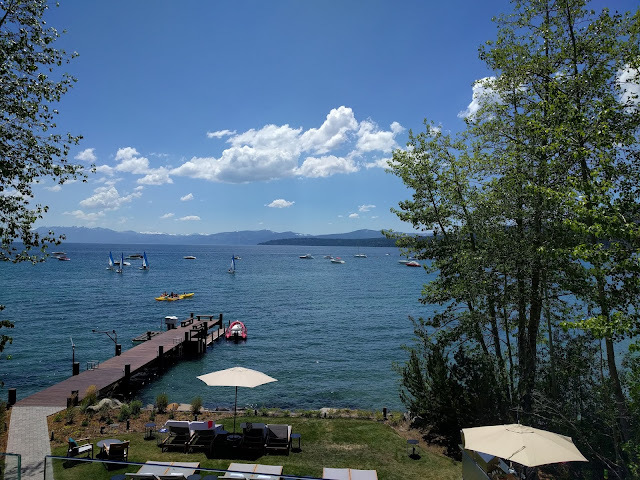 Storage facilities to house kayaks, stand-up paddle boards, etc. Lake Club access is available as part of a special room package for hotel guests or it can be added to your room for a $250 daily access fee per person, which includes food and beverages. Note that fees may vary on a seasonal basis and discounts may be available for younger children ages 5 and up. 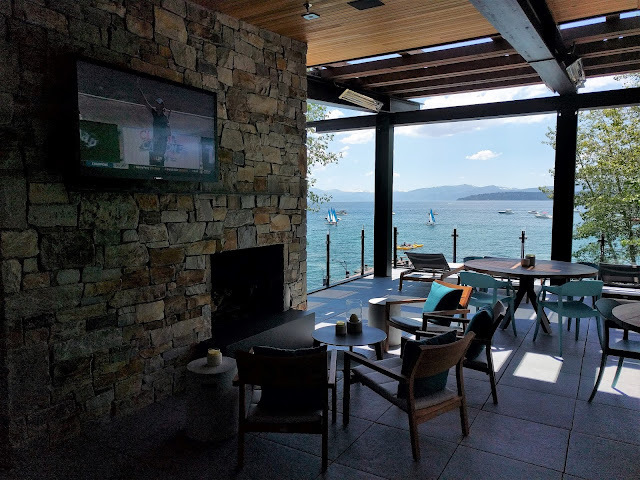 Also, the Lake Club is available exclusively for resort guests only who reserve the Lake Club package daily or add it on to their room, so you can expect a unique lakefront experience without huge crowds. Hours of operation are typically from 10 AM to 6 PM, based upon availability. 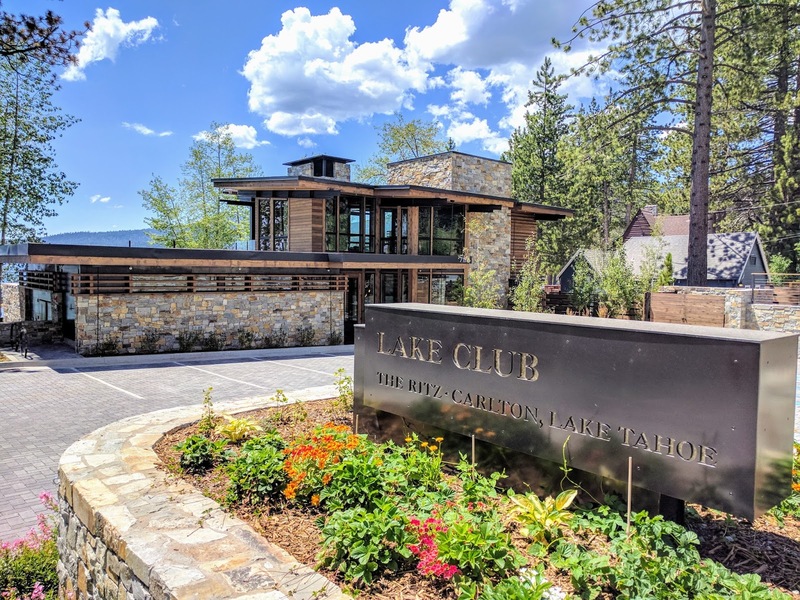 Hours of operation are subject to seasonal changes and a shuttle is available from the resort to the lakefront Lake Club for guests staying at the Ritz Carlton Lake Tahoe. Be sure to read more about the Ritz Carlton Stars Program and how you can gain a lot of extra value for your next stay at a Ritz Carlton hotel when booking your trip through The Family Travel Guy!